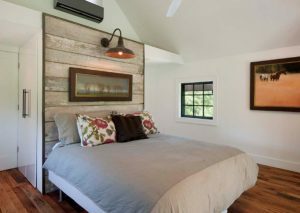 HVAC, A/C & HEAT PUMPS, GEOTHERMAL SYSTEMS | Wythe Sheet Metal, Inc.
Trane heat pumps are designed to deliver the reliable, energy efficient heating and cooling you expect. Each unit is designed and engineered to meet rigid specifications, tested to ensure excellent performance, and manufactured to last. 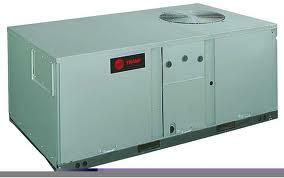 With a Trane heat pump you can feel confident in your investment and comfortable in your home – all season long. Trane products are tested in there Seasonal Extreme Environmental Test (SEET) facility, exposing them to an array of torture test before they put them into production – so you can feel confident that they will provide consistent comfort for years to come. Trane package heat pumps are designed and engineered to meet rigid specification, tested to ensure excellent performance and manufactured to last. Each unit is also designed to deliver exceptional reliability and energy efficiency all day, all night and for years to come. Packed with Trane’s innovative technology, they heat, cool and condition your air quietly and affordably, making your home a better place for living. Heat and cool your home the smart way with a Water Furnace system. Using the clean, free, renewable energy found just below the earth’s surface, WaterFurnace units do not rely on expensive, limited fossil fuels, which negatively impact our environment. 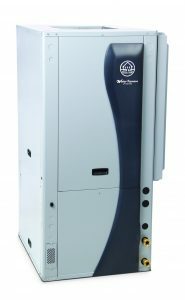 And with an efficiency rating of 400%, WaterFurnace units can save you up to 80% on your heating and cooling costs while helping to protect our environment. 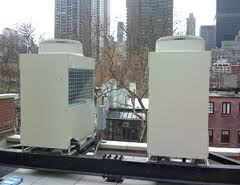 For decades split-ductless systems have been the quiet solution for cooling and heating problem areas. Mitsubishi’s innovations defined cutting-edge technology, with a product that is built to last. Mr. Slim is designed to make any space inviting. Maybe your home has an area that is too hard to heat or cool. Or perhaps you’re looking for a way to control the climate effectively in multiple rooms. No matter what your cooling and heating needs may be, Mr. Slim systems are the perfect way to make rooms in your home or your work place as comfortable as possible. The best way to ensure total comfort for the occupants of offices, schools, hospitals, assisted living facilities, hotels, and more is to provide each individual zone with a personalized comfort system. Zoning offers maximum individual comfort and energy savings because only the zones that need conditioned receive it. You set the comfort level, then relax. Mitsubishi City Multi consists of an outdoor unit, a branch circuit controller, multiple indoor units, and corresponding system and zone controllers. 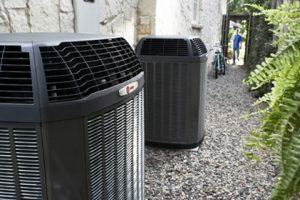 The system takes advantage of inverter technology by varying the speed of the compressor in the outdoor unit to meet the changing load requirements in each of the indoor zones. City Multi recycles the energy in other zones to provide comfort only to the zones calling for heat or cool. Innovative comfort solutions the most comfortable air flow for a human body can be found in nature. After countless analysis, LG has applied the scientific Chaos theory to its air conditioning range, which effectively produces a natural fresh breeze.